The BMO Harris Bank District 204 Volunteer of the Month is being awarded to Jeanne Puacz from Graham Elementary School. Jeanne has 5th grade twins at Graham and a daughter in 7th grade at Crone. Her volunteerism over the past 8 years has included coordinating the Ozzie Reading Program, Art Awareness, Junior Achievement, Science Fair, Boys and Girls Choice, Field Days, and fundraising activities such as walk-a-thons and Jump Rope for Heart. This year she is also the chair of the 5th grade farewell committee. However, it is her involvement with the library and the many activities promoting literacy that makes Jeanne stand out. Students see Jeanne as a friendly face and seek her advice on what to read next or how to find a piece of information. Jeanne has had a significant role in building excitement, joy and a sense of community through reading programs. The Monarch Readers' Choice Award is an opportunity for students to be exposed to a variety of books and vote on their favorite. Jeanne manages many aspects of this program from scheduling, reading, student voting and totaling results. This complete follow through is common for the many programs that she supports through her volunteer work. Jeanne had several nominations for this award, one of which stated "The impact that Jeanne Puacz has on students is substantial. 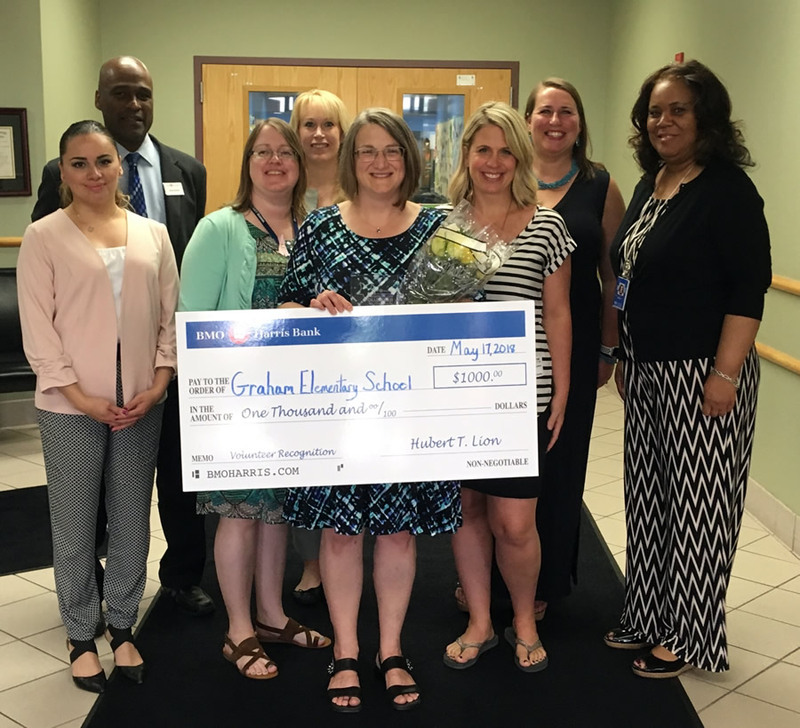 The culture of support and the love for literacy that Jeanne has created can be felt by the students and staff of Graham Elementary."